Thanks for posting this! My wife and I purchased some Lingzhi supplements, along with a couple of others because of you and it seems to be working well. Thanks again –> and we’ll keep you updated on our progress. I appreciate you stopping by. Please keep us posted on your results with the Lingzhi Mushroom supplements. Thanks for this info. Can you tell us where we can buy the ASHMI medicine? Or, if that’s not available yet, then how much of the 3 ingredients would you need to take in order to get the desired effect? I’ve tried to find sellers online but seem to only be able to come up with one seller who hasn’t updated their availability since 2006!! ASHMI is still not available. Unfortunately, it’s still under patent review (Please see my November 29, 2009 comment below for an important update). 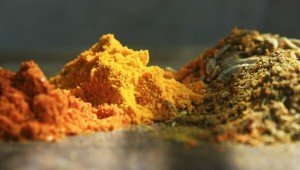 My wife & I have been getting by with a homemade version which we put together from the 3 ingredients found in ASHMI: Lingzhi, Kushen and Gancao, plus a couple of other herbs, which are readily available in supplement form. The original formulation for ASHMI is as follows: 20 grams (63%) of raw Lingzhi mushroom (Reishi mushroom) plus 9 grams (28%) of Kushen (Sophora root) plus 3 grams (9%) of Gancao (Licorice root). The following is what has worked for my wife and I after quite a bit of experimentation: 600 mg of Lingzhi mushroom (Reishi mushroom) plus 450 mg of Gancao (Licorice root) plus 1,100 mg of Wild Oregano plus 500 mg of Olive Leaf extract, twice a day, every day. Note: I will be adding articles on Olive Leaf extract and Wild Oregano to azmacare.com shortly. We personally purchase all of our supplements at a brick and mortar store called the “Vitamin Shoppe” (which is a national chain), located a few miles from our home (their website can be found @ vitaminshoppe.com). [UPDATE]: My wife and I have begun experimenting with different online sources, since they definitely offer better pricing than brick & mortar vitamin shops. For example, amazon.com has excellent prices and shipping costs, but you can also find good deals elsewhere (see below for some suggestions). The cost of the supplements does not add up to very much and the overall health benefits have been tremendous for us. Ever since we started the supplementation our household medication use has plummeted and we’ve saved quite a bit of money. I can’t promise the same would be true of your experience, but it is certainly worth a try (Be sure to have a discussion with your doctor about any planned supplementation to discuss negative interactions, etc). I’m surprised that you’ve had difficulty finding online sources. Below you’ll find some online sources which reliably stock and sell a huge assortment of herbs and assorted supplements, including: amazon.com. @Laura ==> I hope you are still stopping by every once in a while and catch this update to your comment! Finally, the answer is yes, ASHMI can be purchased, although the formulation is not called ASHMI (please read my article titled “ASHMI Clear Breathing with Chinese Herbs” for more details). I found a product called phytocort, manufactured by a company called Allergy Research Group and marketed under the name Nutricology. My wife and I have stopped taking our “home made” ASHMI and have begun taking phytocort. We have been purchasing it from amazon.com because of the price, but have also purchased it from ebay.com, as well. hey i was just wondering who would i be able to sell ling zhi to because i actually have some and dnt noe what should i do with them.. Depending on how much you’ve got to sell, I suppose you could try Cragslist or Ebay? I have no idea about any of the laws that govern the sale and distribution of mushrooms, so that’s something you should do research on. The last thing I’d imagine you’d want is to end up getting into any trouble. Hello to everyone. I’m lucas and i’ve been taking lingzhi for about 3 years now. Through this 3 years my health have been tremendously better than last time that i’ve been used to fall to high fever all the times. I bought this lingzhi products from the one of the most well know company in lingzhi cultivation that have been existed for more than 15years. The name of the company would be DXN Holdings BHD. Thank you. Thanks for dropping by Lucas. Come back every once in a while & let us know how you’re doing. I’ve browsed through some of the articles in your web site at this point. I truly enjoy the way you write. I added this blog post, as well as ASHMI – Clear Breathing with Chinese Herbs as bookmarks and will be returning soon. @ Hbstam: Thank you for the kind words & thanks for dropping by! I’m glad you found something helpful. 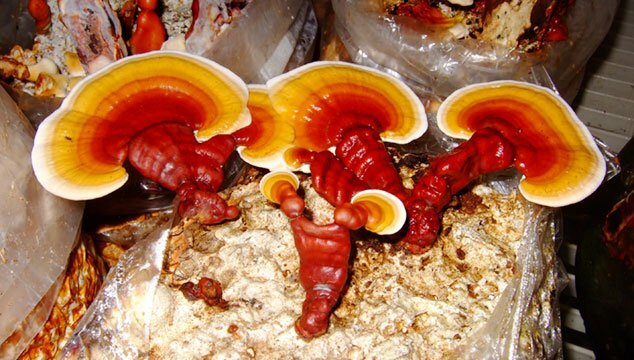 Thanks for this article on Lingzhi Mushrooms. I am always glad to read an interesting blog. In addition, apart from the content, the design of your site looks honestly amazing. Bravo. @ Inso: Thanks! I did designed it myself over time. I’m glad you like it & thanks for dropping by! 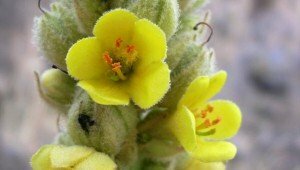 This is the best blog on herbs for asthma that i’ve ever seen! Bookmarked. Between me and my husband we’ve several different, non-medicated asthma treatments (supplements). Have not heard of lingzhi (or ashmi) before stumbling upon your blog. Appreciate the info and will continue to research this. Greta work!! @ Tyson: Thanks for dropping by & you’re more than welcome! I’m glad you found something useful here. Good luck on the research & please drop by & let us know if you find anything interesting for the rest of us. I can confirm the widespread claims: Reishi is truly excellent for asthma. I’ve been using the Reishi Primo extract for 6 months now and haven’t felt as good since I was 12 years old. When my asthma started kicking in. Thanks for stopping by & I appreciate the comment. I’m glad you were able to find some relief! Please stop back once in a while & give us an update. Nice info. I randomly came across lingzhi a few months ago in Taiwan, and I feel fortunate to have done so. It’s definitely given me more energy and given me a general sense of well-being. I was so happy about it I even wrote an article about it on zujava.com. Thanks so much for dropping by. I agree with you. I feel fortunate to have come across lingzhi when I did also.